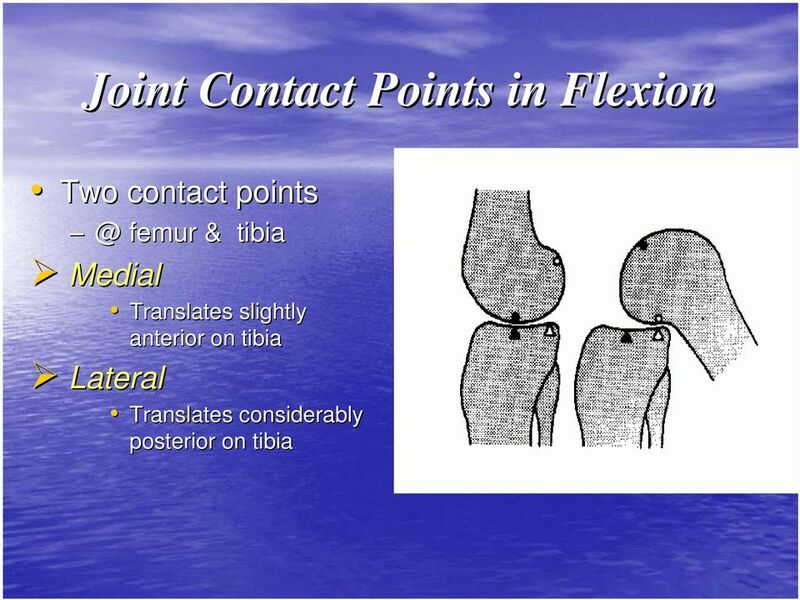 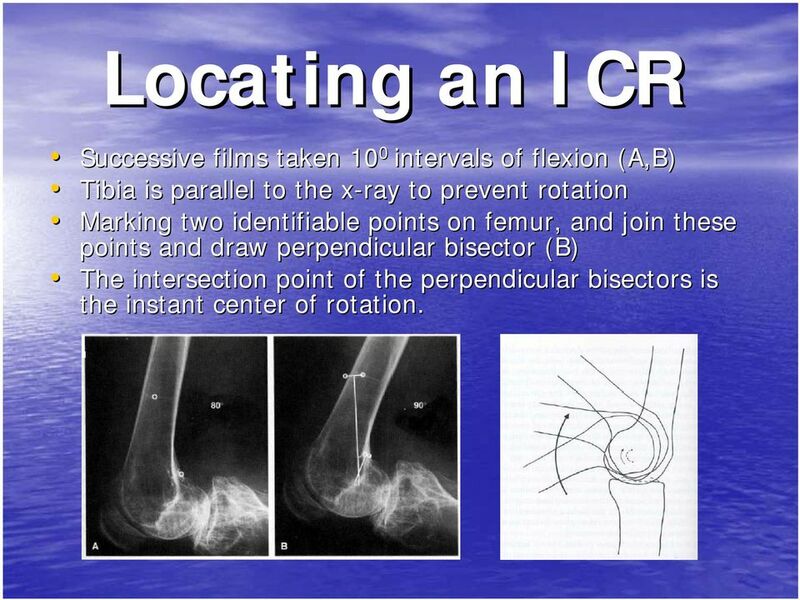 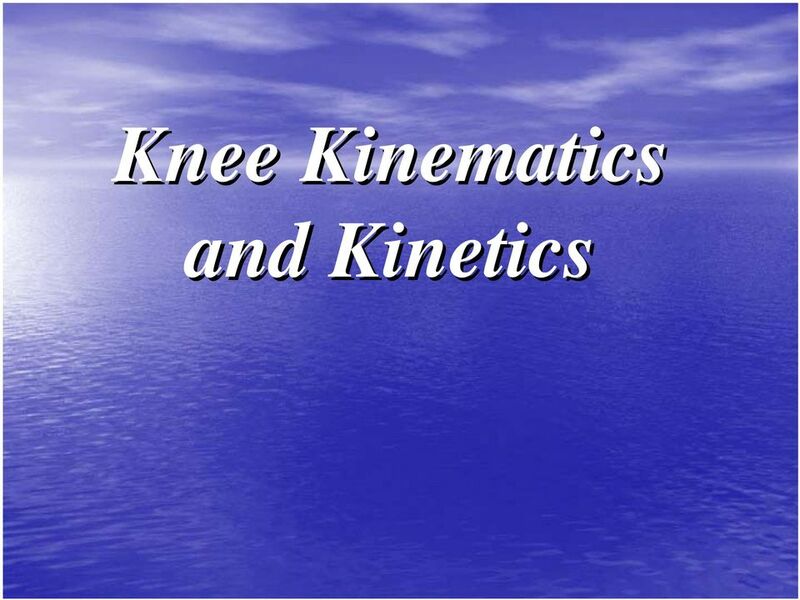 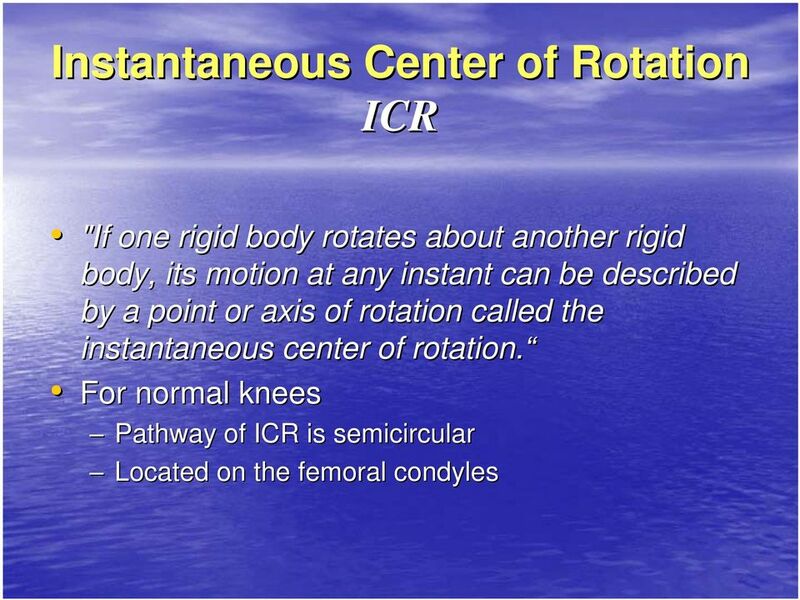 Download "Knee Kinematics and Kinetics"
14 Locating an ICR Successive films taken 10 0 intervals of flexion (A,B) Tibia is parallel to the x-ray x to prevent rotation Marking two identifiable points on femur, and join these points and draw perpendicular bisector (B) The intersection point of the perpendicular bisectors is the instant center of rotation. 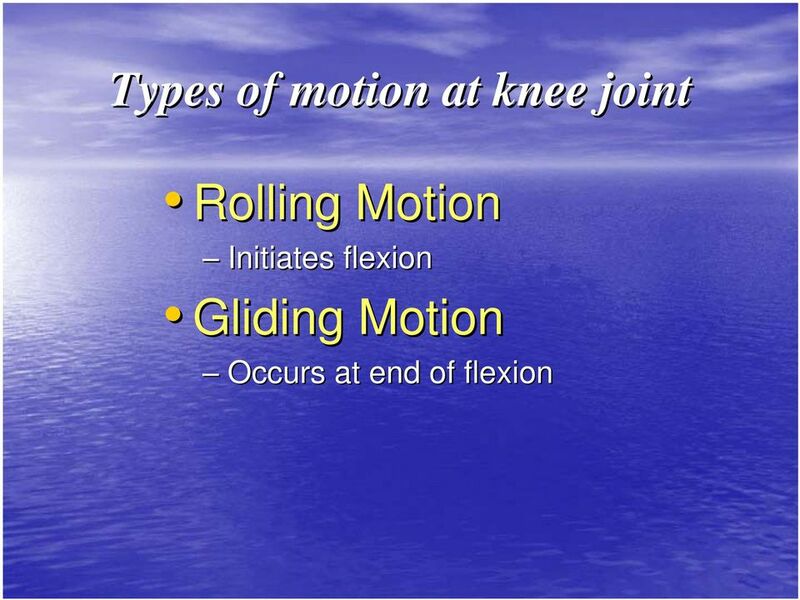 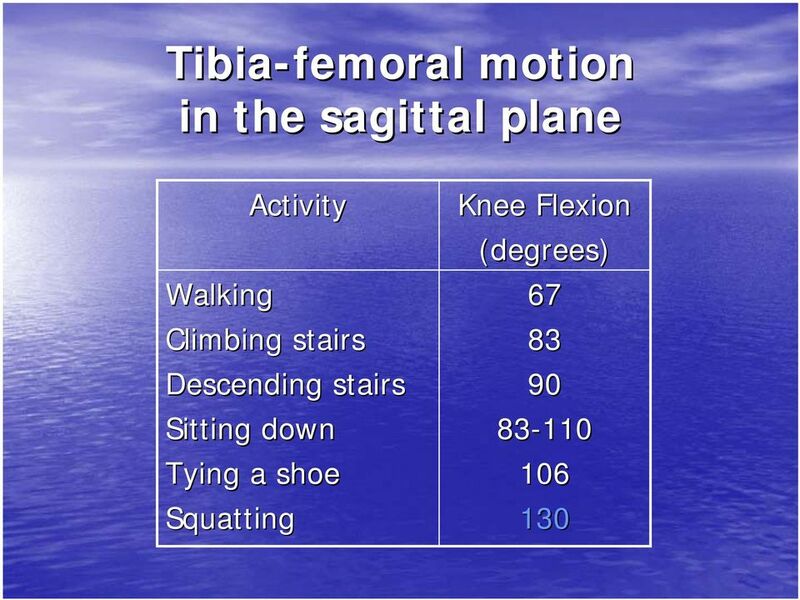 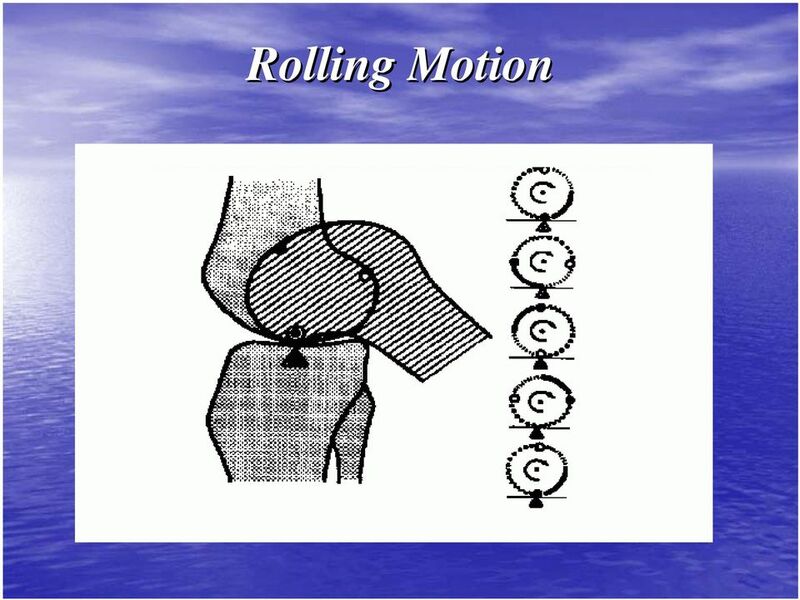 27 Patellar Kinematics --Figure from Fulkerson, Disorders rd ed. 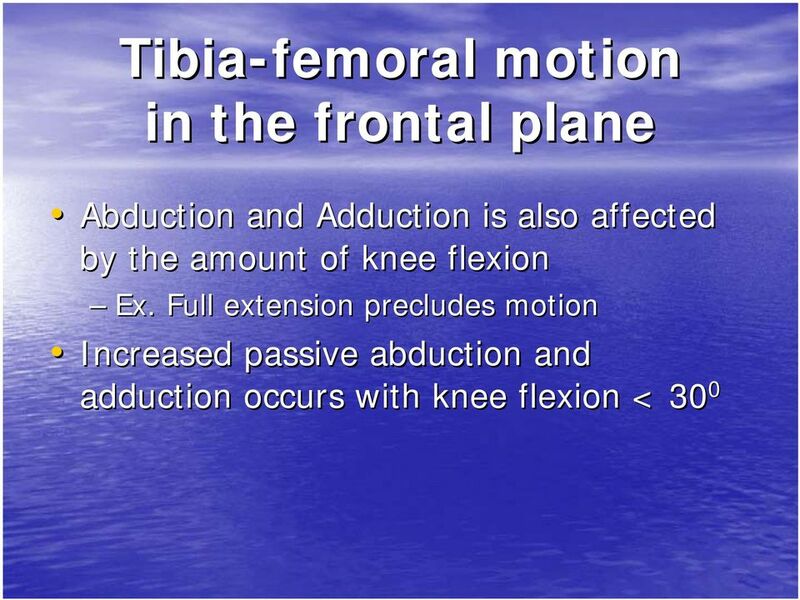 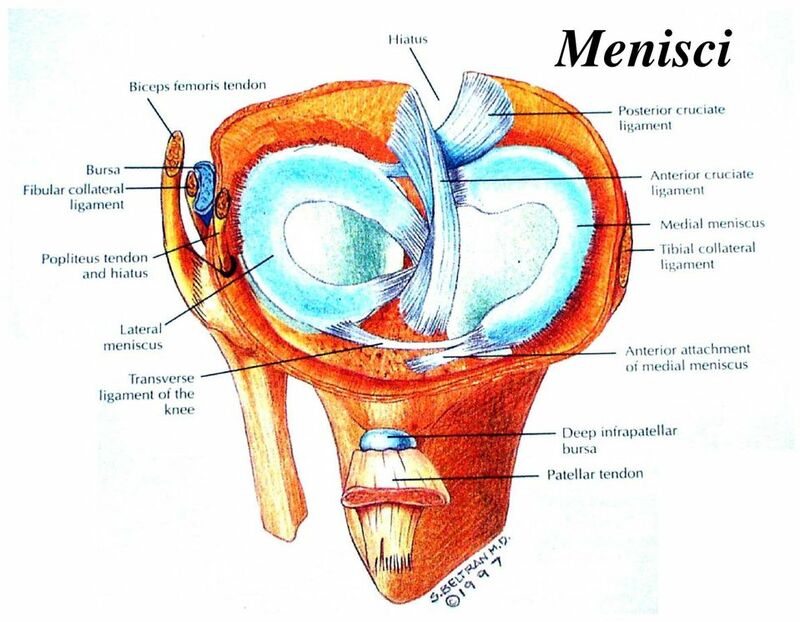 KNEE JOINT LEARNING OBJECTIVES CLASSIFICATION Formed between lower end of femur, the upper end of tibia and the posterior surface of patella. 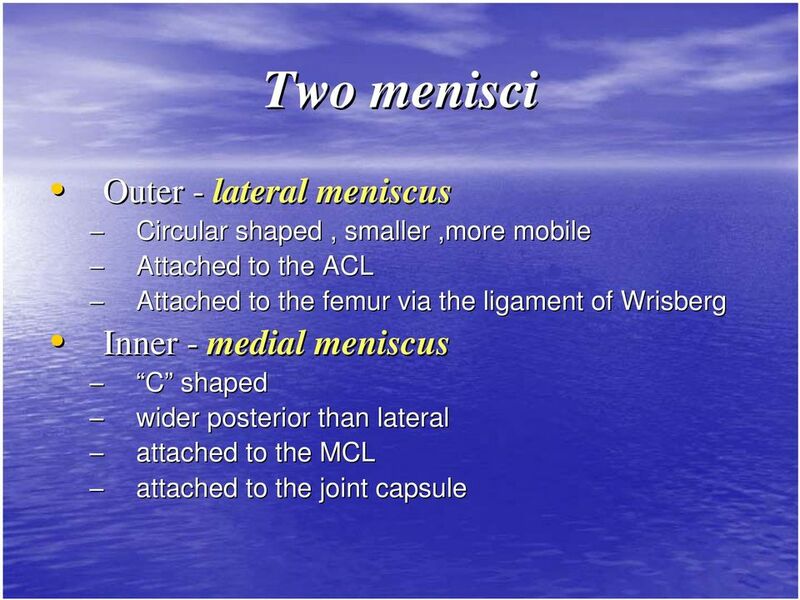 Mechanics of Tendon, and Ligament Outline! 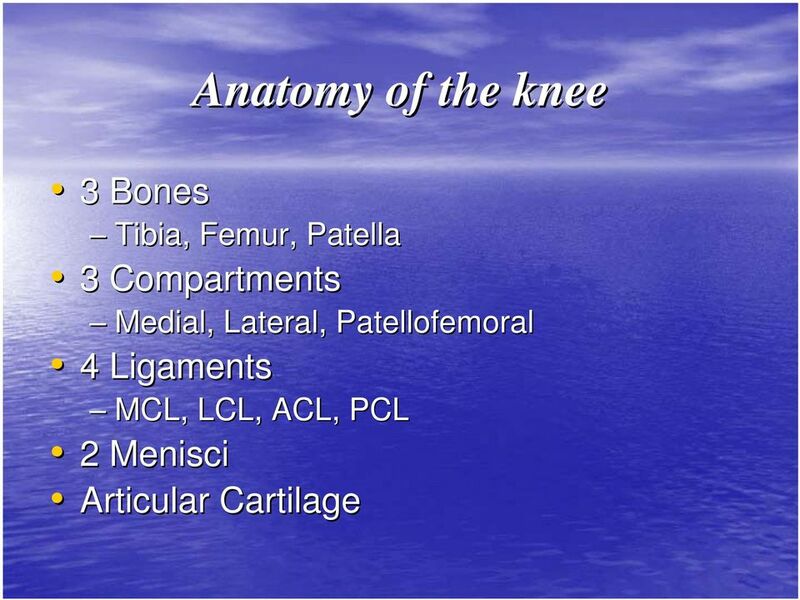 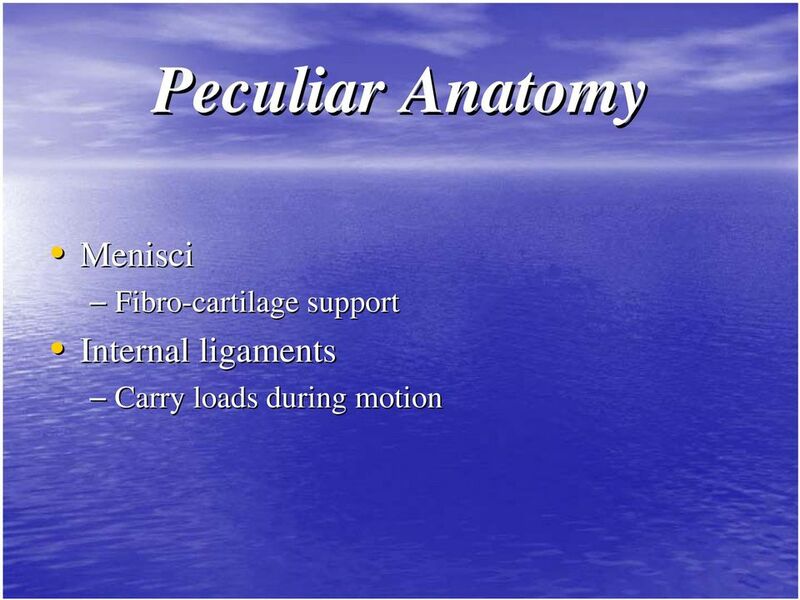 review of tendon and ligament anatomy! 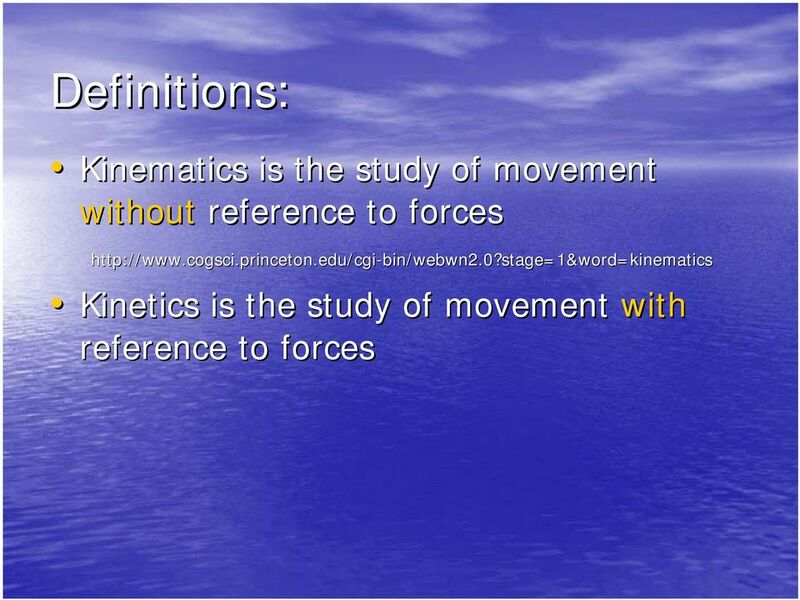 nonlinear stiffness! 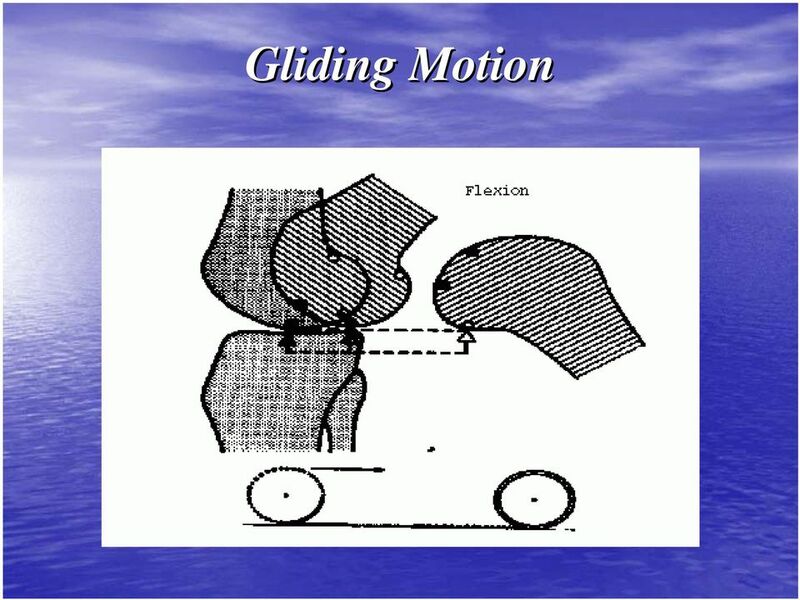 hysteresis Ozkaya and Nordin Chapter 9, p. 211-213! 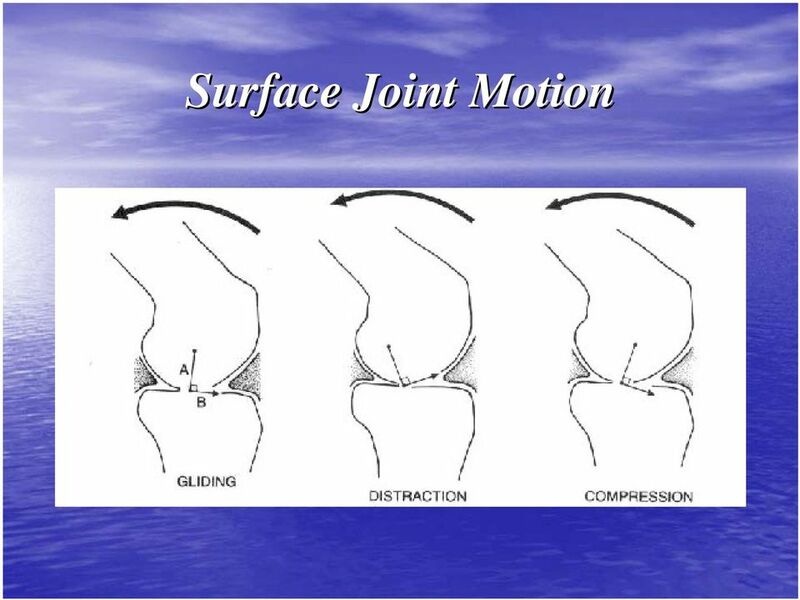 deformation and energy absorption during running! 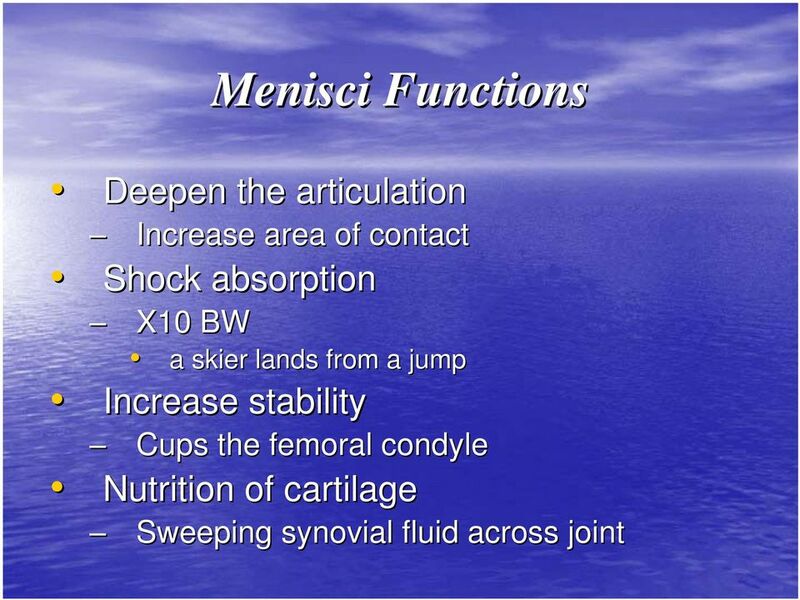 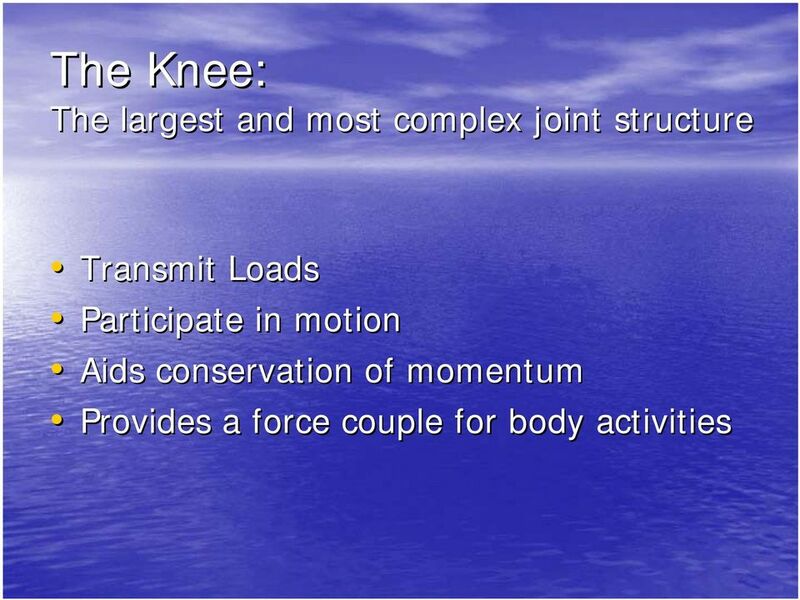 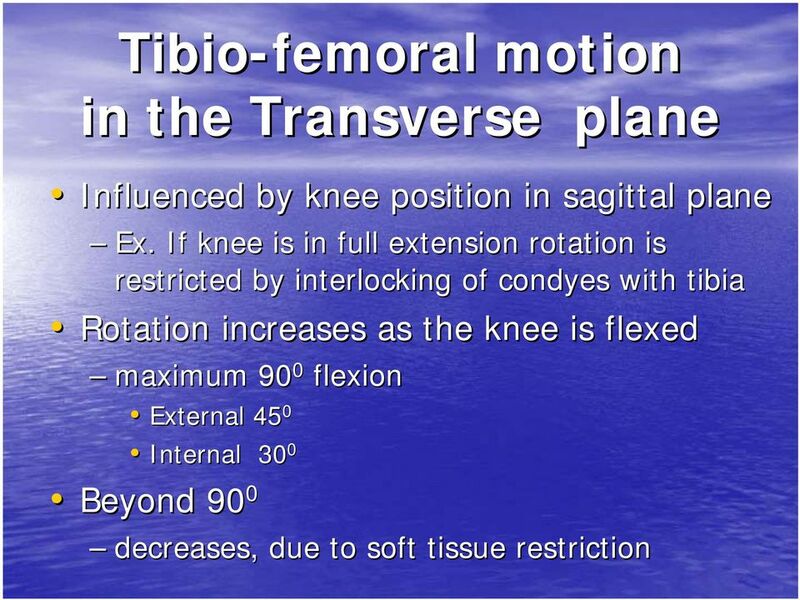 The knee is the largest synovial joint in the body. 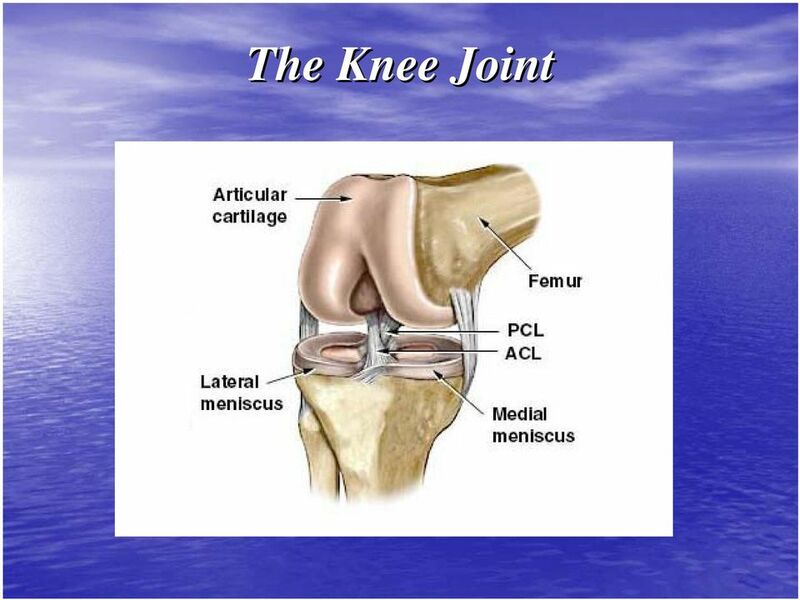 It is composed of 3 bones and 3 joints although 2 of the 3 joints share a common cavity. 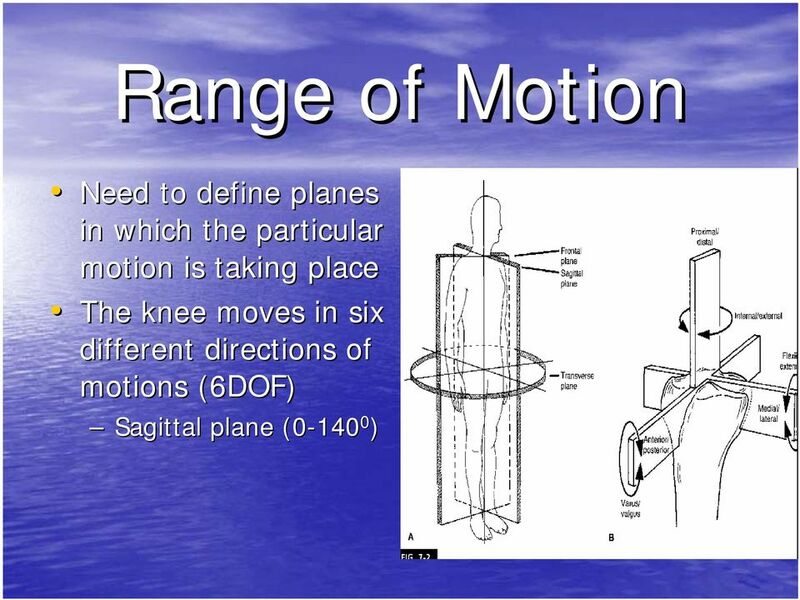 Understanding Planes and Axes of Movement Terminology When describing the relative positions of the body parts or relationship between those parts it is advisable to use the same standard terminology.